Officially the first day of winter occurs on December 21 aka the Winter Solstice. 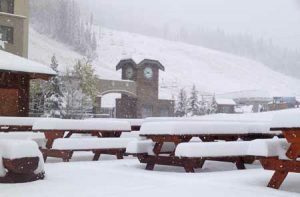 In Big Sky Country, it often seems like winter comes a bit earlier than that. 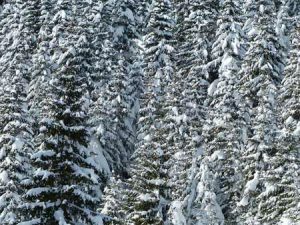 As the peaks start to collect their annual blanket of snow, the temps linger at or below freezing, and the days start getting shorter, people in Big Sky Country begin their annual preparation for the long winter season. Big Boots - A good pair of warm boots will keep your feet warm and dry during the winter season. Warm Layers - Staying warm starts with proper layering. Get the clothes that you need in order to keep your core warm. That may include long underwear, fleeces, sweaters, puffy jackets, lined pants, warm hats, and other odds and ends. 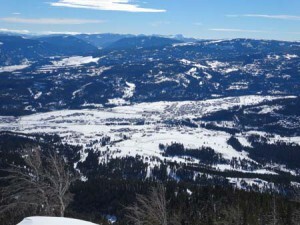 Ski Pass - One of the best ways to get outside and enjoy Big Sky's winter wonderland is to get a ski pass to Lone Mountain Ranch or Big Sky Resort. Sunglasses - When the sun hits the snow, it will reflect back toward your eyes and it will make it hard to see. Get a good pair of sunglasses to protect your windows to the world. Warm Gloves - It's hard to do anything when your fingers are cold. Invest in a good set of gloves that keep your fingers warm when you're out and about, walking the dogs, or hitting the slopes. Cords Of Wood - A hearty fire is a good way to stay warm and heat your home. If you use a wood stove, be sure you have plenty of firewood to burn. Snow Tires - Snowy and icy roads are a major hazard. 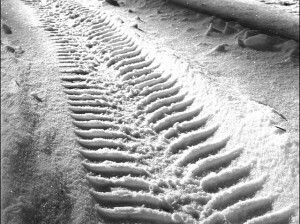 No matter where you're driving to, it's a good idea to have a trusty set of snow tires. They can save your life. Vitamin D Supplements - Big Sky sits halfway between the equator and the North Pole at 45 degrees latitude. Combine our location with the short days of winter and it might be a good idea to take a Vitamin D supplement to combat the inadequate sun exposure. Outdoor Gear - Everyone benefits from time spent in the great outdoors. Whether you ski, snowshoe, sled, or fish you need the gear that keeps you going. Frozen Food - When it's cold and you don't want to drive to the store, it's nice to have some frozen meals stashed in the freezer. Snow Removal Equipment - It's beautiful to watch the snow fall, but as it piles up you're going to need to move it. Get a shovel, a snow blower, and some ice melt to clear your porches, roofs, driveways, and walkways. Brush/Scraper - Snow can make it hard to see out of your car windows. Pick up a good brush to wipe away the snow and a good scraper to remove the ice that builds up on your windshield. Thermos - There's something nice about getting home, turning on the electric kettle, and enjoying a nice cup of tea or a warm thermos of coffee. Even though it can be cold and snowy for a good part of the year in Big Sky, it's still one of the best seasons in our mountain town. Whether you need new gear or you're new to town, be sure to invest in the things you need to keep yourself safe, warm, and smiling during the winter season. Most of these things you can pick up right here in Big Sky at stores like Ace Hardware, Grizzly Outfitters, or Roxy's. Have a great winter!